Creative Escape Glass LLC is a fused glass open studio where you can shop or make your own pieces! We have a wide variety of fused glass pieces that are available for purchase and are inspiration for your masterpiece. Each week we have a project of the week for individuals that need a little guidance choosing what to make. You are not limited to only making the weekly project - we encourage flexibility and creativity. There are a wide variety of projects that you can choose to make. Details on each weeks project are listed on our calendar on our website and on our Facebook page. Weekday Open Studio hours are Wed-Fri 11-5 pm. This and many other projects can also be made during our Open Studio time on Saturday 10 am - 4 pm. On Saturdays we take reservations at 10 am or 1 pm, walk-ins are welcome if space is available. Plan on spending 1-3 hours of making time depending on the project you choose. Reservations are recommended but tables are sometimes available with short notice. Call ahead to ensure that you get a table. 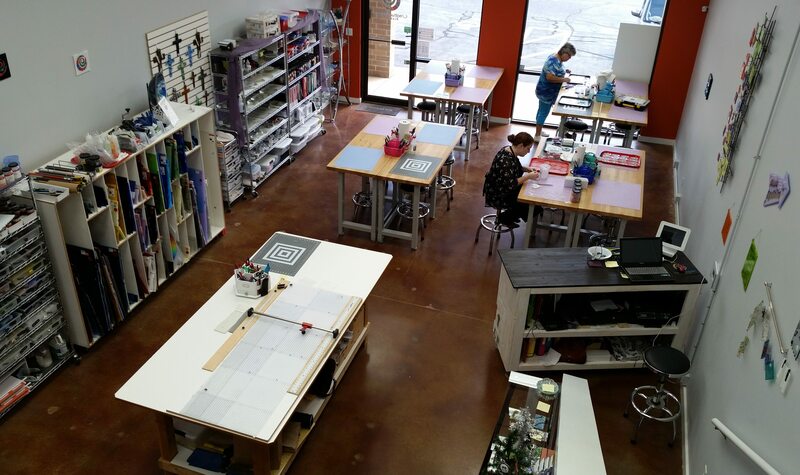 Creative Escape Glass LLC is a fused glass open studio where you can make your own pieces! Open studio hours mean you get to learn glass cutting basics and fused glass basics on demand - you walk-in, we teach you, you make a project. There is no cost for a studio tour and for a basic glass cutting workshop. If you want to make a piece to take home with you, popular projects start at $17 and go up from there based on the size of the project and materials used. Average project cost is $34. Pieces are normally ready to pick up within a week, or shipping is available for an additional fee. Children 13+ can normally do an independent project, kids 8-12 may need an adult assistant, 7 and younger definitely need a one-on-one adult assistant. Young children not involved in the creation process are not a good idea since the front of the studio is full of breakables and the back of the studio is full of sharp edges, all within easy reach. Neither of you will have fun if you must spend your time trying to keep them away from pretty, shiny objects.